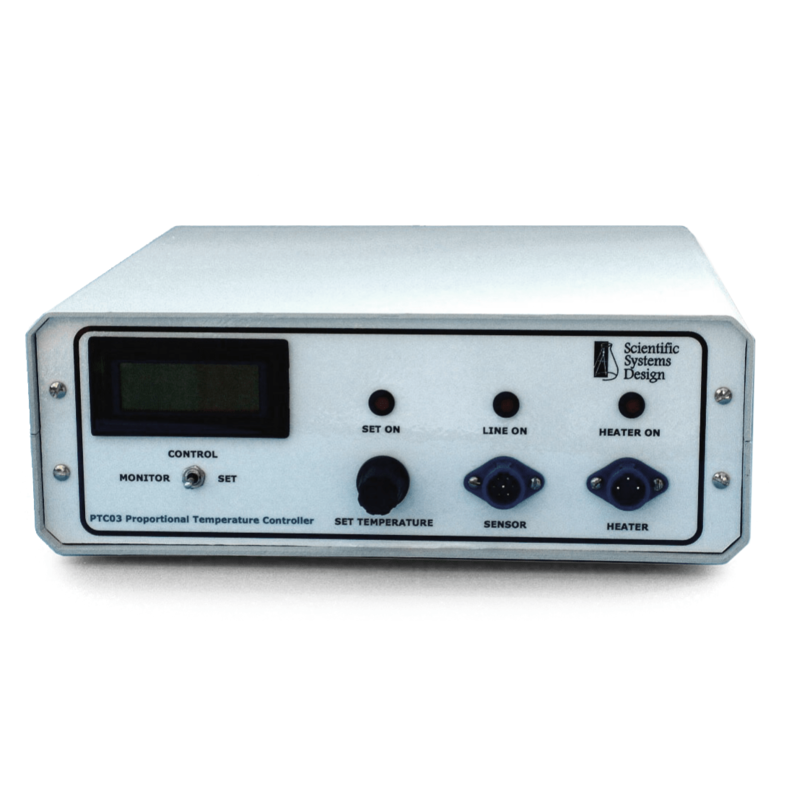 The PTC03 is a temperature control unit for use in conjunction with our brain slice chambers, perfusion solution heaters and an increasing range of other systems currently under development. The required temperature is set using the front control panel. Provision is also made to display the temperature from a monitor sensor if this is being used. At a setting of 40 degrees, with an ambient of 20 degrees centigrade full control is reached within 10 minutes when used with our submerged and interface mode slice chambers. The set temperature must exceed ambient by at least 2 degrees centigrade. 0.5 degrees C below set temp. max. diff. Pt 100 platinum resistance grade B.
Max +/- 0.1 deg. C. from control point.